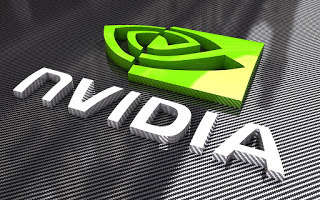 NVIDIA (NVDA Stock): Buy Rating, $360+ Target. We recently spoke with the company. Our take is that core gaming can offset all the crypto-NVIDIA bear fears. And lookie-lookie; Bitcoin just broke a downtrend. Crypto-NVIDIA bears: you’ve been warned. In looking at our model the main story is what’s going to happen in their ‘Gaming’ line-item. That’s 50% of their business and likely had crypto benefits in Q4. Based on history gaming has been down 15-20% in the April quarter. I think there’s a chance it can be down single digits. If so, sorry crypto-NVIDIA-bears. You’re going to have to run for cover. That’s their whole story. If the numbers are fine, then there’s no negative crypto story. The back half could have a new gamer-GPU launch which not many people are expecting. If correct that would mean the crypto negative hype is just that, hype. The numbers can still be great. And for any company… that’s really all I care about, the numbers, the earnings. Earnings ultimately drive stock prices. Let’s not forget also, if crypto prices bottom and it looks like it broke a downtrend today, then crypto becomes a positive again. With the crypto price drop, it will likely be down from Q4 not “flat.” That’s all the hoopla for crypto-NVIDIA shorts.